El Misti Suites i Rio de Janeiro, Brasilien: Reservér nu! The property is located a few blocks from the beach and offers five private bedrooms, two suites, all with linen included. 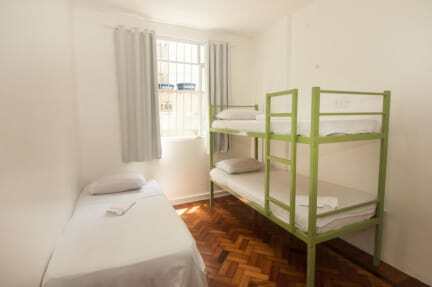 It is a simple space where you will have access to internet and to a small kitchen equipped with refrigerator and microwave. El Misti Suites differs from traditional hotels because there isn't a reception service, upon arrival you will receive the keys and you will have total privacy during your stay in Rio de Janeiro. Around the property you will find several options of bars, restaurants and shops. 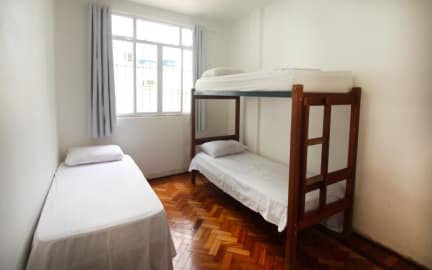 It offers easy access to public transportation, being three blocks from Siqueira Campos metro station and a block from where buses go to the main points of the city. The easiest and most economical way to get to El Misti Suites from both airports and bus station is by taking the Premium buses (frescão) that leave constantly from both places. Just ask to get off at Rua Santa Clara, in Copacabana, take a taxi or even walk a few blocks. Check in from 1:00 p.m. to 5:00 p.m.